Thanks to advancements in modern medicine, you can go through comprehensive genetic counseling to better understand inherited medical issues that could affect your child. 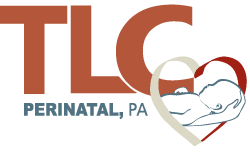 At TLC Perinatal PA in Silver Spring, Germantown, and Hagerstown, Maryland, you will be evaluated by the physician and a genetic assessment made after referral from your OB/GYN. If needed you can meet with a highly skilled practitioner who has extensive training in genetic defects on a referral basis. Whether you already know that certain traits run in your family or have been told by another practitioner that your baby might be at risk, schedule a genetic counseling evaluation. You can book online or over the phone today. Genetic counseling is an ever-evolving branch of medicine that involves helping expectant mothers better understand how genetic traits can affect a growing fetus. Your genes are like the blueprint of your entire body and your baby’s genetic makeup is half yours, half your partner’s. Genes get passed down from generation to generation. As a result, any abnormalities also get passed down. Genetic counseling involves finding out if any genetic traits in your genes — or your partner’s genes — could affect the health and development of your child. By determining any risks you and your little one face, you can get the care your baby needs now and prepare for any special needs that could arise when your baby is born. When should I see a genetic counselor? It’s also important to have your OB/GYN schedule a genetic counseling appointment if your ultrasound or prenatal testing shows any abnormalities or developmental concerns. If you’re already pregnant and have discovered that your baby has — or is at risk of developing — a chronic condition, your MFM at TLC Perinatal PA helps you get involved with support groups and refers you to specialists who can provide the unique care you need. Get a referral from your OB/GYN and book your genetic counseling appointment at TLC Perinatal PA today. Click on the online scheduler or call your nearest office directly.